With a Beech Controllable Propeller you could unleash the horsepower you had not been able to use before with a fixed-pitch propeller..
On the commercial model Cluver the R-001 Beech Controllable Propeller decreased the take-off run by about 30% and increased the rate of climb by about the same percent. Beech Controllable Propeller R-002 has been licensed for the Stinson 10, with a blade length of 72 inches. Added performance is given to the Luscombe Silvaire with the model R-002 also with 72-inch propeller and a Continental engine. The Beech R-203 controllable propeller with 85-inch blades, installed on the Grumman Widgeon powered with Ranger engines, reduced the necessary run for a water take-off almost one-half and reduced the ground run for required take-off by 22.8%. The PT-19 was also equipped with the R-203 propeller. In comparative tests Beech controllable Propellers have shown an increased in rate of climb and decrease of take-off run from 15% to 26% for the various types of airplanes on which it was tested. 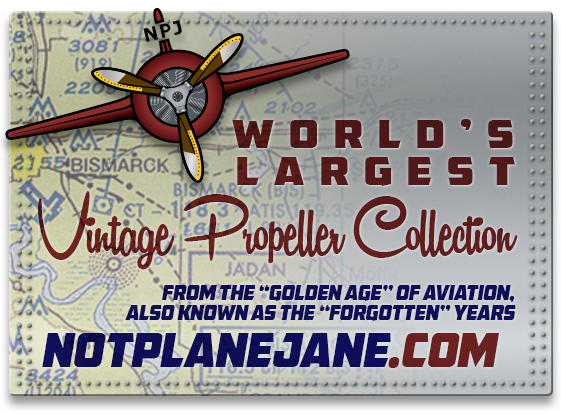 These propellers were made, during the war, for the Army Airforce and were used on the various fighting fronts and in the United States. In 1947 the Beech Propeller was Type-Certificated on the Beechcraft Bonanza Model 35. Their record of performance is proof enough of Beech Propeller’s ability to “take it” and give long hours of more enjoyable, more economical flying.